Variscite is a phosphate mineral that is translucent to opaque with green to bluish green coloring that is often mottled or veined. This gem is commonly cut en cabochon or used for carvings. 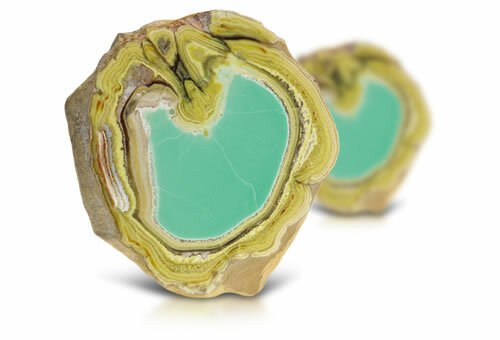 With a similar appearance to green turquoise, variscite is named for its location of first discovery in Germany. When mined in Utah, some prefer to call it Utahlite. Variscite mottled in appearance with yellow to brown matrix. Material from Utah is lime green and has a swirled appearance.